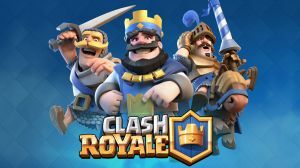 Clash Royale, from SuperCell, the guys that brought you Clash of Clans, is a turn-based, deck-building RPG. The idea is that you collect a deck of cards capable of beating your opponent, who is another person also playing the game somewhere on the internet. The purpose of this guide is to give you an overview of strategies from beginner to advanced, and to provide you with some top tips to generate gems and coins legitimately.